This apartment is fully equipped with 2 Double Beds as well as a sleeper sofa in the living room. The kitchen is equipped with all cooking supplies, plates, cups etc. LARGE Plasma TV in the Living Room and Bedroom. Lovely Large Dining Table. FULLY FURNISHED IN LUXURY with EVERYTHING you need! It is a 3 minute walk to the public beach and is very near restaurants, shops, convenience stores etc..
From the large balcony of the condo, you have the view of the ocean directly from your private balcony and window. Located just minutes from famous South Beach, Aventura Mall, Bal Harbour Shops, Lincoln Road, theatres, grocery stores, nightclubs and world famous restaurants. Date of Stay: 05/28/11 Review Submitted: 07/20/11 We stayed at the appartment for a week 05/28/2011 - 06/04/2011 and enjoyed every minute of it.. Special thanks goes to Keren first of all for beeing always there to answer any question that may occur.She's done planning and communication exceptionally..The apartment is located literally across the street from the ocean, has gorgeous veiw from the balcony, very clean and nice. Note to the new tenant- please make sure you check all of the closets first when you arrive -- to our dissapointment we "found" beach umbrella and beach chairs on the last day of our vacation. There even was an automatic air pump which we could benefit from, but found too late. We really enjoyed staying in this appartment and hoping to be back soon. Recommended for:Romantic getaway. Date of Stay: 06/10/10 Review Submitted: 05/11/11 The condo is fantastic. It has a good location in the 2nd floor and has nothing to worry for it has an elevator. It has a good site of the pool and the garden. It is of much comfort. The property managers, Eli and Karen didn't fail us in giving every bit of information that we need. The place where we are having a great time every single minute. Recommended for:Adventure seekers, girls getaway, tourists without a car, romantic getaway, pet owners. Date of Stay: 04/08/10 Review Submitted: 05/11/11 Our family stayed here in the month of August, 2009. It is not hard to adjust for the place is more likely as you are at home. The cleanliness of the condo is well maintained, the beds are comfortable and the kitchen is well provided with our needs. It also has a wonderful view from the balcony that sees the beauty of the lake. And the most of it, the owner is of a great help when we find it hard to operate the AC. We indeed find this place perfect and of much consideration to come back. I highly recommend this to all my friends. Recommended for:Families with young children, families with teenagers, sightseeing, people with disabilities, age 55+. Date of Stay: 02/02/10 Review Submitted: 04/27/11 A great place to have for everything is within vicinity. The grounds as well as the unit is perfect. My wife is having a lot of fun in the on-site workout room. The beach is of outstanding location and the area of the pool is so inviting but my body can't take the cool temperature for having a swimming. The condominium was created for a fantastic place for relaxation. From the time that we will visit Destin again, this will be the pefrect place for us to stay. Recommended for:Families with young children, families with teenagers, adventure seekers, girls getaway, tourists without a car, sightseeing, people with disabilities, romantic getaway, pet owners, age 55+. Date of Stay: 05/25/10 Review Submitted: 04/26/11 The house is perfect for enjoyment. We had a great time. The place is spacious and has a lot of outdoor fun. It is also clean and so comfortable to stay. The owner is absolutely great to work with. Recommended for:Families with young children, families with teenagers, adventure seekers, girls getaway, tourists without a car, people with disabilities, age 55+. Date of Stay: 08/15/10 Review Submitted: 04/23/11 The place and the property is so impressive. The location is at its best in views. We definitely had a great time. We have 2 children, 3 years old and the other is 14 years old and both had a blast. 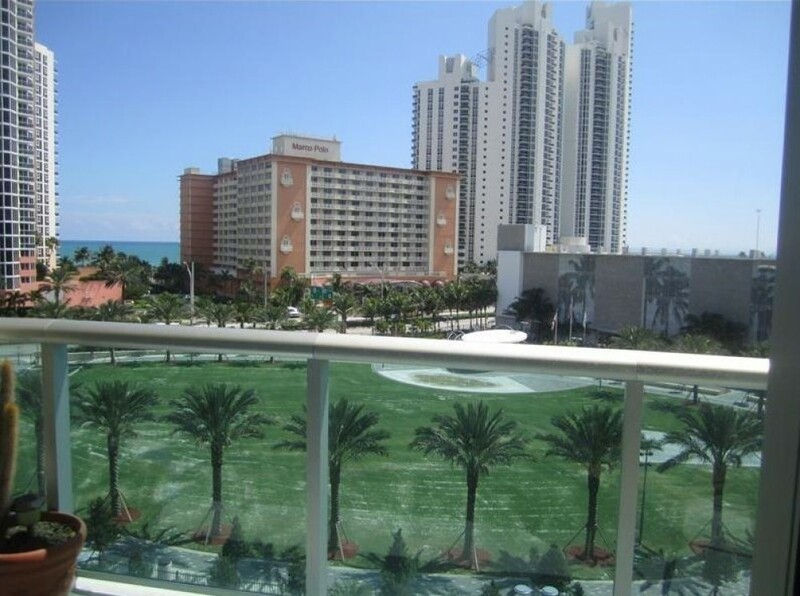 Sunny Isles has a wonderful neighborhood with cultural diversity and a perfect restaurants. This building is not a five star resort yet it was excellent for well managed as well as it is surrounded with a friendly group of people. I preferred to stay in Miami Beach during summer for there are few people lingering the place and the weather is as perfect as the place. The owner is very approachable. She never fail us to have a convinient stay. The place is more likely as our home. The only thing that stikes me, is that the food in the Pier Restaurant taste so bad. That was the worst food I had ever tasted. Newport Hotel has much better food and services. They had a service that will bring your food and served it just in your place. Recommended for:Girls getaway, tourists without a car, sightseeing, people with disabilities, romantic getaway, pet owners. Date of Stay: 03/02/10 Review Submitted: 04/23/11 A place where you will have a perfect stay for it has lovely beach. Again, thank you for another great vacation. Recommended for:Families with young children, families with teenagers, adventure seekers, tourists without a car, sightseeing, people with disabilities, pet owners. Date of Stay: 04/15/10 Review Submitted: 04/17/11 The place is an exceptional. I've been staying to a lot of condos yet this is the only one that reached all my needs. The location of the condo is on the beach and the place is not that crowded but still not closing the door to meet new faces. Staffs are all accommodating as well as they are so friendly and has availability of time when needed. The valet is 24/7 which is good even if I used it for once. The manager, Eli, shows so much understanding for we arrived so late but still the unit is all set. If you are having a plan to stay in Miami, there is nowhere to go but in this place. Thank you so much Eli! Recommended for:Families with young children, families with teenagers, tourists without a car, sightseeing, pet owners, age 55+. Date of Stay: 09/06/10 Review Submitted: 04/17/11 Three weeks of stay at the condo with our 3 children at the 14th floor. The place is of great location. Minute walk to the beach. Mall and restaurant is within its vicinity. Having a wonderful scenario of the ocean in the balcony. Having a free community shuttle bus for a lot of times because our children are too young to take a long distance walk. They also have a lot of services in the restaurants and even in stores nearby. Concierge is of great service as well as their attendants and the owner is reliable in handling negotiations. And you have nothing to worry about for the people that surrounds you are very friendly. It really has a great ambiance. Should there be a place to stay with again, surely this place is the only place in my list. I am pretty much sure to recommend this place. Recommended for:Families with teenagers, adventure seekers, girls getaway, tourists without a car, sightseeing, people with disabilities, romantic getaway, pet owners. Date of Stay: 05/09/10 Review Submitted: 04/10/11 The property is of great consideration to stay at. Price are great. Location is fantastic. Beach is so lovely. I will surely recommend the place to the family that I know and also to those who plans to be here. Recommended for:Families with young children, adventure seekers, tourists without a car, sightseeing, people with disabilities, romantic getaway, age 55+.